I’ve blogged about QBP’s Director of Advocacy Gary Sjoquist a few times because of his involvement in various mountain bike-related activities and projects. This two-day trip will examine their recipe mix of new infrastructure, education, and advocacy that won this accolade. 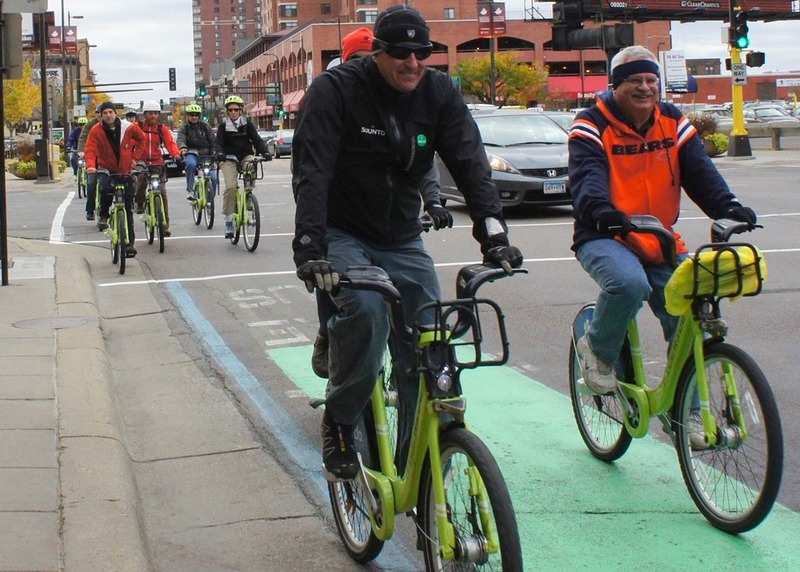 Special attention will be given to how cycling is being integrated into the transit community, and look at the economic impacts of cycling within the MSP area. 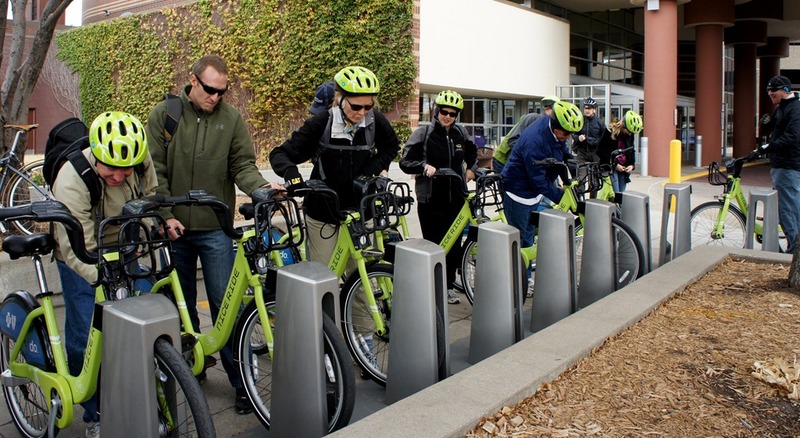 Ogden, Utah’s bicycling infrastructure is particularly important to QBP because they opened their western distribution center, Q-West, there in 2011 (press release) and their Bike Commuting Program for employees is a big deal. 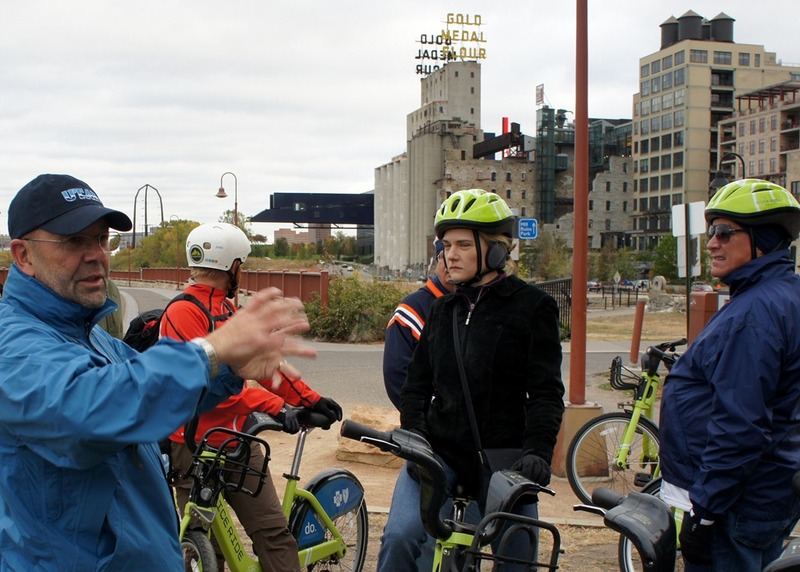 I joined the delegation on Thursday as they toured Minneapolis on Nice Ride MN bikes, starting out at the Holiday Inn Metrodome. 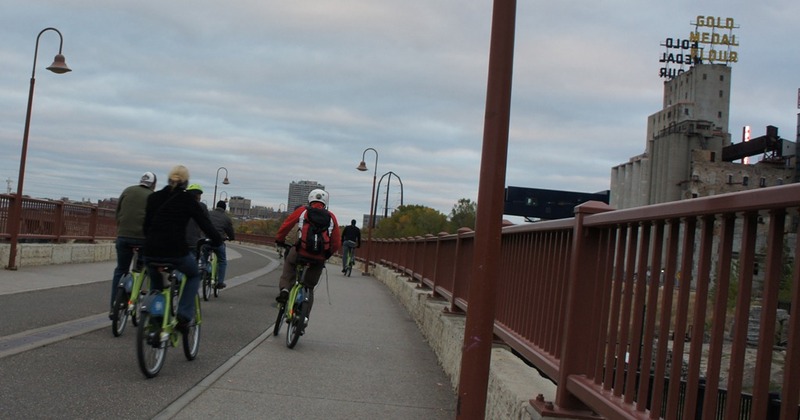 We biked down to Mpls City Hall and ate lunch while hearing from Shaun Murphy, Minneapolis Bicycle & Pedestrian Coordinator; Ethan Frawley, Bicycle Coalition of Minneapolis; and Dorian Grilley, Bicycle Alliance of Minnesota. 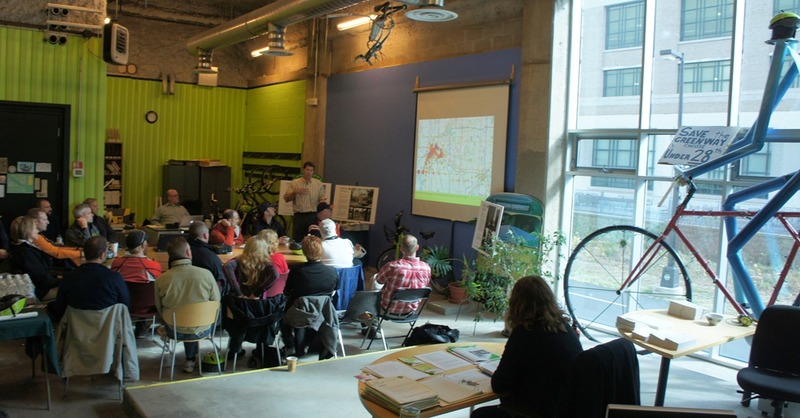 We then worked our way over to Freewheel’s Midtown Bike Center on the Midtown Greeway where we heard from Bill Dossett, Executive Director of Nice Ride MN, and Soren Jensen, Executive Director of the Midtown Greenway Coalition. 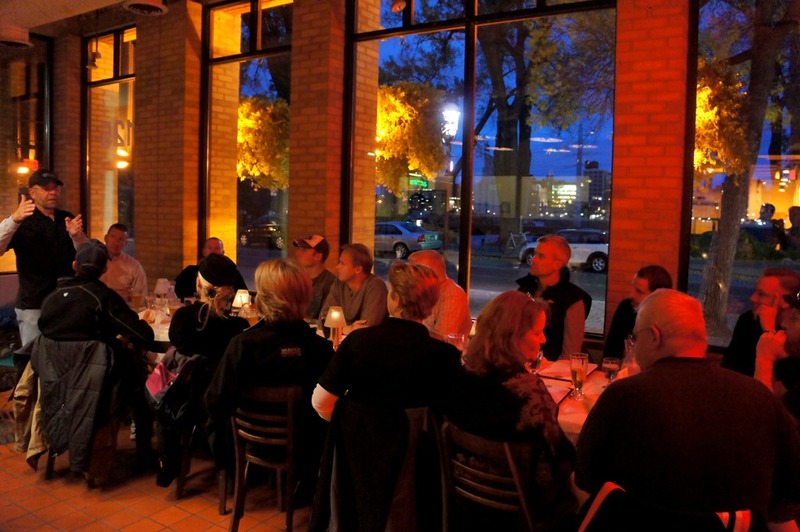 From there, it was back to downtown Minneapolis during rush hour, and then across the Stone Arch Bridge to St. Anthony Main where we had dinner at Pracna on Main.